I didn't blog about last weekend, even though I had a lot of fun... and now it's almost the weekend AGAIN! So I'm playing catch-up. Saturday, I met up with my local BFF LC and grabbed lunch at our favorite local Mexican chain, Jalapeno's. I can eat there for under $6, and it's delish! I like the Mexican Egg Burrito, with chorizo. 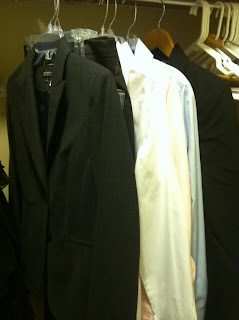 Then we headed to the Hilton Head Island outlet mall to hit up some sales, especially since I was in the market for two new business suits and coordinating shirts for future job interviews. The mall was a MADHOUSE, but I got two new suits (a black one from Ann Taylor and a grey one from Jones New York) plus three beautiful solid shirts. I got a 15% coupon and a 20% coupon from the stores for my total purchase, and with sales I really saved a bundle! So exciting to have some professional clothing for the next chapter of my life! LC was a trooper, having endured a sprained ankle but braving the mall for an entire day with me... so we celebrated a job well done with a delicious dinner at Sam Snead's. We love their flatbread, and I had their delicious steak sandwich. I ate so much I was positively stuffed! 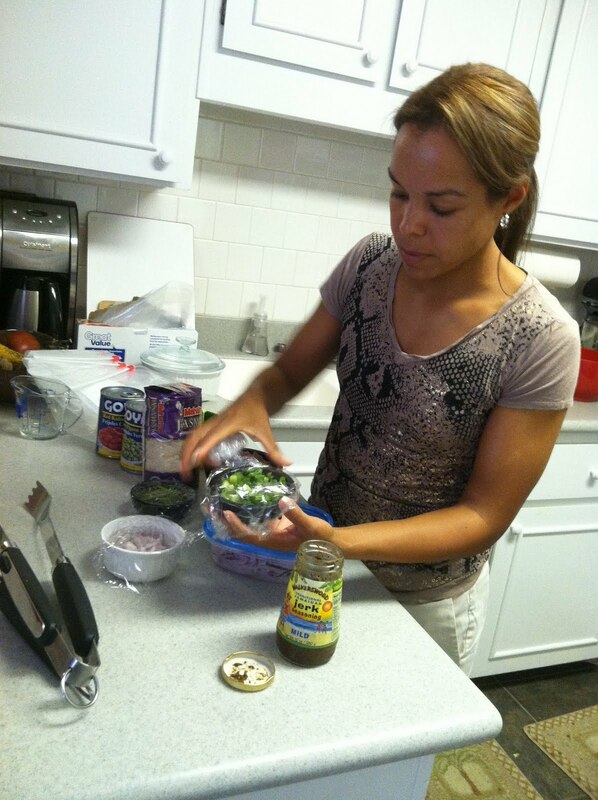 On Sunday, I went over to my friend CG's house for a Caribbean cooking lesson! There were a bunch of girls there learning to make jerk chicken, rice with beans, and flan. CG is Puerto Rican, and her husband HG is Jamaican, so their kitchen is a Goya paradise of goodness. It everything was DELICIOUS. After I got home, I really thought about what a fun, yet relaxing weekend I had. I'm really looking forward to taking some time off next week from work to myself, but I also want to make sure to see some friends and spend a little quality time with them while I can. I am a lucky girl to have so many awesome people in my life!